First installed on punch, then die, loosen the two screws under the guide rail to do the alignment. Raise the height of the punch at first, then slowly step on the pedal, to check whether the mold is concentric, always check the pressure gauge to not exceed the pressure range. 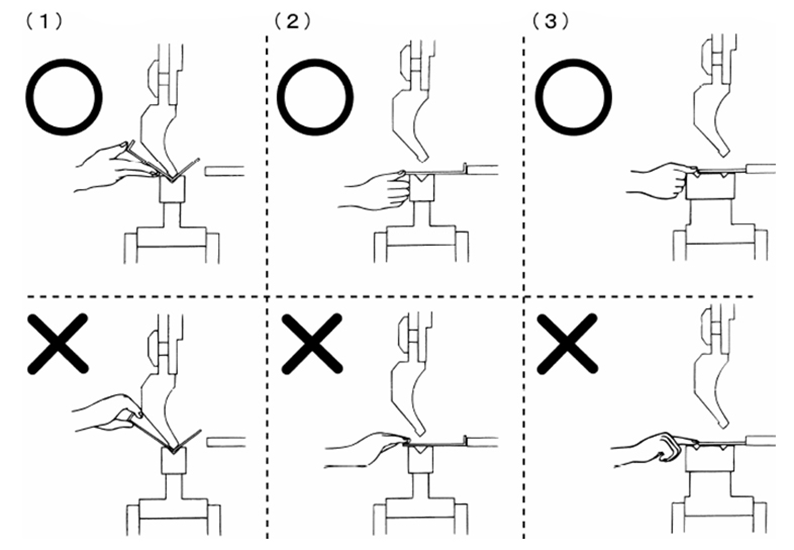 Do not reach the hands between the folded workpiece and die, so as not to pinch the finger, when aligning the mold, the hand and any part of the body are not allowed to be placed between the upper and lower mold. When bending large pieces, the rebound of the workpiece may hurt the operator’s face, so please pay more attention to this. If the press brake is operated by two more people, one of the operators should control the pedal switch well enough. Strictly abide by the safety regulations of machine tool workers, and wear labor protective supplies according to stipulations. Before starting the press brake, to carefully check whether the motor, switch, wire, and grounding is normal and firm, check the whether the control parts of equipment and buttons are in the correct position. Check the degree of coincidence and robustness of the upper and lower dies, and check whether the positioning devices meet the requirements of the fabrication. Reset the program when the upper slide plate and the position axes are not in the Origin state. 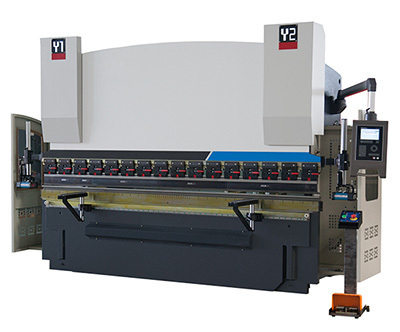 If discovers the abnormal sound or breakdown 1-2 minutes after the equipment starts the empty running, and the upper slide plate finished 2-3 times movement, immediately stop the press brake. Start the press brake operation only after everything is confirmed normal. During the operation of the press brake, it should be unified command by 1 people, so that the close cooperation between operators and feed suppression personnel to ensure that send out bending signal after all personnel in a safe position. According to the bending sheet thickness, shape size, adjust the slider stroke and adjust the selection of upper and lower die and bending force. 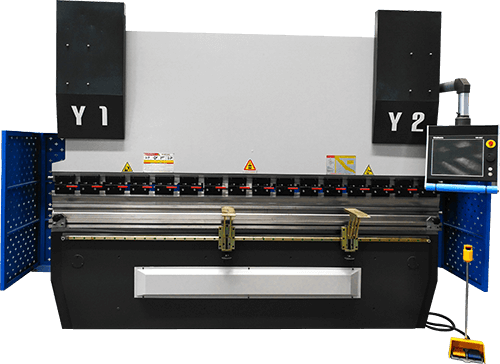 Select the V-width of the lower die and check the bending force of the workpiece, must refer to the press brake bending force chart at the right side of the machine, work bending force should not greater than the nominal force. When adjusting the clearance of upper and lower mold, the slider must be parked on the dead point. Clearance must be adjusted from large to small. The initial adjustment of the clearance of up and down mold generally can be 1 mm larger than the thickness of the plate, the gap must be greater than the thickness of the plate, in order to avoid damage the mold due to no clearance. When bending over two people, you must designate one person to step on the brakes and cut off the power when you leave the machine. Do not make unilateral and single point load work. The sheet bending must be compacted to prevent wounding caused by the warping of the sheet during bending. Do not stack sundries and gauges between the top and bottom molds. The power supply must be cut off and the press brake stopped working when adjusting the mold. The correct choice of bending mold, the fastening position of upper and lower die to be correct, to prevent trauma when installing the top and bottom die. When changing the opening of a variable die, no material is allowed to contact the lower die. Correct selection of bending pressure, the eccentric load should be 1/2 less than the maximum pressure. Bending workpiece length must not be 1/3 less than the worktable length while under the maximum bending pressure. 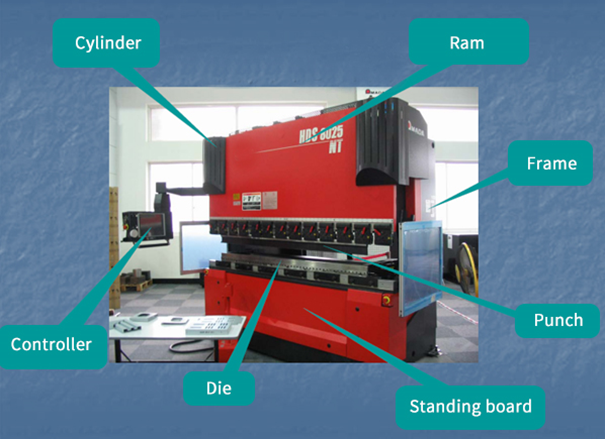 Do not allow the stand of the person at the back of the press brake during its operation. It is strictly prohibited to press the sheet material at one end alone. 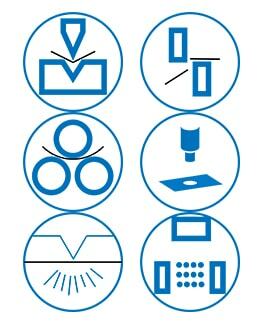 When the workpiece or mold is found not straight during operation, the press brake should be stopped and corrected. It is strictly forbidden to use hand correction in operation to prevent injury. It is forbidden to fold the ultra-thick iron sheet or quenched steel plate, advanced alloy steel, square steel and the sheet material which exceeds the performance of the press brake in order to prevent damage of the press brake. Check the coincidence degree of the upper and lower molds regularly; Check the indication of the pressure gauge for compliance. If abnormal thing happened, stop the press brake immediately, check the reasons and notify the relevant personnel to troubleshoot promptly. Before shutting down, place the wood block on the lower die under the cylinder at both ends and drop the top slide onto the wood. After completion, exit control system procedures first, after cutting off the power, cleaning the work site.